Time and time again, climbers seem to be treated unsuccessfully for elbow pain, which I believe is due to treatment being targeted too specifically at the elbow. This was the case when I first met Brittany Griffith, a Black Diamond Ambassador. I was introduced to her in hopes that I could help to resolve her elbow pain. Brittany is a self-professed gypsy with endless energy, whose solution to jet-lag-induced insomnia is vigorous gardening by headlamp. She is known for adventure climbing for two weeks straight, without a rest day, in destinations as far as Sudan and Yemen. When I first met Brittany, she was squeezing the outside of her elbow in a futile attempt to calm the pain from climbing a single gym route. She had a look of desperation on her face. Despite a history of significant chronic pain in her neck and shoulder, now Brittany’s elbow was limiting her ability to climb. She couldn’t even hold a glass of water without searing pain. After consulting a number of doctors, she was starting to believe that surgery was her only hope. Even with a potential solution like surgery, she still feared that chronic injuries, like her elbow pain, would prevent her from working as a professional climber, and could even steal her ability to pursue many of her other hobbies. Soon after our initial meeting, Brittany and I got to work. 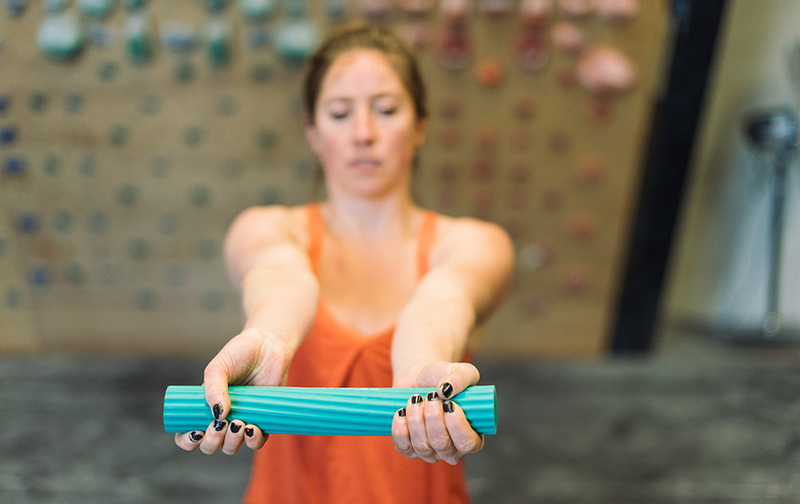 Within a handful of visits and a climber-specific approach to physical therapy, Brittany was back to climbing and her high-energy, gypsy lifestyle pain-free. Brittany’s story is a common example among many of my clients, no matter their climbing ability, of how movement imbalances can cause chronic elbow pain. Through Brittany’s rehab, I learned that chronic injuries can be difficult to undo even when our most basic body movements contribute to pain. Faulty body mechanics can culminate in never fully returning to sport, however, if we improve our movement patterns, on and off rock, we can reverse these injuries. 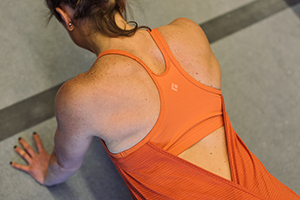 What follows builds upon a previous article, Hang Right: Shoulder Maintenance for Climbers. 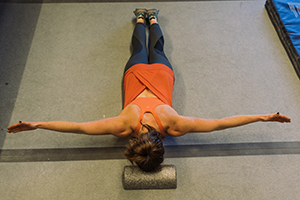 In this article, we’ll explore the ways in which imbalances in our muscles and the connective tissue around muscles, called fascia, can put undue stress on our elbows. We’ll also offer some techniques and tricks to manage these symptoms through conducting restorative off-the-wall exercises. Successful treatment of painful elbows (especially among climbers) should involve the chest, trunk and arms instead of an exclusive focus on localized pain. This is especially important when it comes to larger groups of muscles that are organized through a structure called fascia. Let’s use fascial systems to consider two common conditions among climbers: tennis elbow and golfer’s elbow. Fascia is a network of tissue that surrounds muscles. 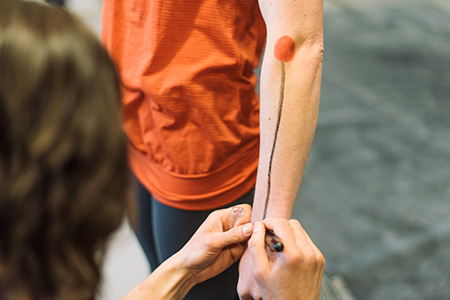 Fascia both coats individual muscles and connects groups of muscles in the body through “fascial systems.” A tight muscle can lead to constrictions in the fascia surrounding it, and vice versa. In turn, because different muscles are connected via fascial systems, a tight muscle can limit motion in other muscles that live upstream and downstream from it. Let’s first examine how these networks of muscles and fascial systems contribute to golfer’s elbow (medial epicondylalgia). Golfer’s elbow presents as pain on the inside of the elbow, primarily affecting the flexor muscles of the wrist and fingers (Figure 1). These muscles attach to the inner boney prominence of the elbow (Figure 1, depicted in red), where golfer’s elbow pain originates. Consider this: the flexor muscles of the wrist and fingers are connected to a number of other muscles – the biceps, the pectoral and the latissimus dorsi muscles—via a fascial system (Figure 2). 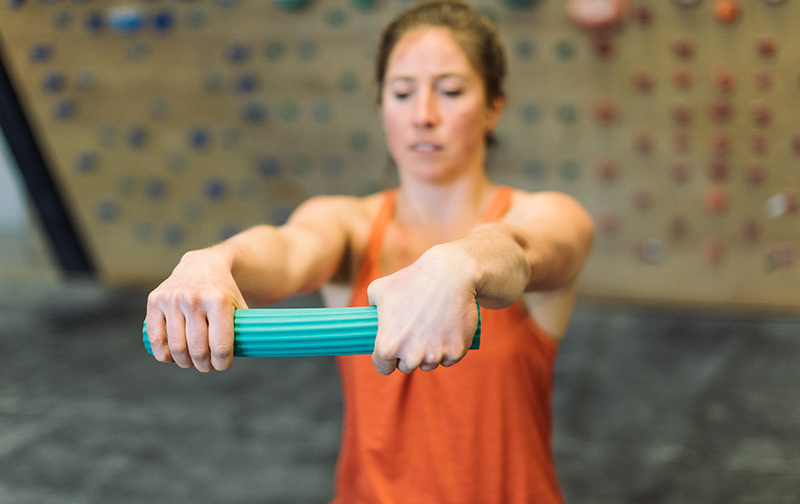 For many climbers, impairments in those upstream muscles can contribute to excessive force at the elbow, causing stress and strain, and eventually pain. These tend to be some of the tightest muscles found in climbers. Moreover, these particular muscles (the biceps, the pectoral, and the latissimus dorsi muscles) are often tight as a result of impaired posture and shoulder mechanics both on and off the wall. The following image demonstrates “typical” climber posture, and how that may affect the resting length of the biceps, pectoralis, and latisimus dorsi muscles (Figure 3). Now let’s examine pain on the opposite side of the elbow. Symptoms that arise where the extensor muscles of the wrist and fingers insert into the outside of the elbow are commonly called tennis elbow or lateral epicondylalgia (Figure 4). Tennis elbow follows a similar pattern to golfer’s elbow: the extensor muscles on the backside of the wrist and fingers are connected, via another fascial system, to the triceps, trapezius, and posterior rotator cuff muscles (Figure 5). The muscles in this fascial system tend to be some of the weakest muscles found among climbers. The bottom line is that golfer's and tennis elbow are often a result of imbalances in our muscles and fascial systems. Through treating the tissues that are tight and strengthening the muscles that are weak, we can optimize these fascial systems and overcome chronic “misuse” injuries. Weakness and tension patterns in the chest, trunk and arms’ fascial systems cause our elbows to be more susceptible to repetitive strain. Consider how weakness in the shoulders and core might affect a climber’s elbow. The shoulder girdle and core comprise a “foundation” upon which our elbows function. If this foundation is weak, we cannot control our elbow without putting excessive strain on it. Our elbows can easily become the weak link between our hand and this foundation (the core and shoulder). In an effort to compensate for a weak foundation, the muscles that insert into the elbow end up working overtime to stabilize our arms and become overworked and strained. They accumulate micro-tears, become inflamed, and cause the pain that we call tennis or golfer’s elbow. For climbers who have weakness in their shoulders or core, exercises to strengthen this “weak foundation” can help. In addition to hanging right, the most generalizable concept is to strengthen the fascial line in the back of the arm and to lengthen the fascial line in the front of the arm. Below are four essential exercises that address this concept. Treatment in the initial phase of elbow tendon injuries (less than 6 weeks from injury) requires a solution focused at reducing inflammation (ice and activity modification). If the condition has been occurring for more than 6-8 weeks, it is no longer an inflammatory process (i.e., ice and rest is no longer an effective solution! ), but rather a degenerative tendon process. In the latter case, the tendon is weakened, degraded, painful, and not resilient to loads. In order to promote healing and restructuring of a tendon more than 6 weeks after initial injury, it is important to actively promote the tendon’s healing through a process we call “remodeling". You are likely familiar with hammer drills and reverse wrist curls. Performing these drills slowly introduces micro-stress and micro-inflammation to the local area, signaling the body to remodel the injured tissue by breaking down damaged tissue, and rebuilding new tissue. This process should take approximately 6-8 weeks, leaving you with a repaired tendon that can do its job again without pain. RECOMMENDED PARAMETERS FOR REMODELING EXERCISES: let your symptoms be your guide for finding the right number of repetitions for each exercise. 1. Find a level of resistance that produces your familiar symptoms or discomfort within a handful of repetitions (for example, perform 5 repetitions until reproduction of your familiar symptoms). Make sure there is no lasting pain following these repetitions. 2. Perform three to five sessions of this number of repetitions throughout the day. Continue until this exercise no longer produces your familiar symptoms. 3. Over a period of 6-8 weeks, progress the load by small increments (2-5 pounds), being sure to reproduce your familiar symptoms with no lasting pain once you finish. 4. You’ll be ready to ease into climbing and activities that used to reproduce your symptoms when you can do these activities without reproducing your symptoms during or following them. You can discontinue these remodeling exercises once you no longer have any symptoms with normal activities or climbing. You may, however, choose to add them to your weekly maintenance program or to use them as a warm up before climbing. Examining the movement patterns in our wrist and fingers are also highly relevant to solving elbow pain, as our hands interact with our environment (whether that entails gripping rock or a glass of water). Wrist stability and a balance between the strength and length of the muscles and fascia that cross our wrists and run along our fingers are just as important as those upstream players mentioned above. Part 3 of our Hang Right series will focus on the downstream problem in detail. By employing these Upstream, Local, and Downstream solutions to Brittany’s arm, we were able to resolve her chronic elbow, shoulder and neck pain within a few months. While Brittany continues to get tweaks and acute injuries like the rest of us, regular check-ins allow her to maintain balance between what is tight and what is weak, so that she can continue to function as a professional climber and gypsy woman without interference from injury or pain. If we climb, train and function with stability and balance in the structures upstream and downstream from our elbows, then we can load our elbows appropriately. 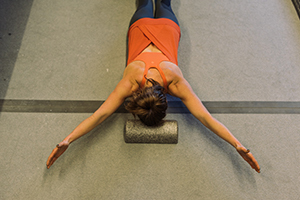 Achieving an optimally balanced system in our arms may take dedicated work, but can help to preserve that poor elbow that just happens to get caught in the middle. Pulley Taping: Why The H-Tape Method?